Raised on a cattle ranch where he still lives, Insurance Commissioner John Garamendi has spent most of his career in politics and for much of that time, he's had his eye on the governor's office. On Thursday, the Central Valley Democrat said he would run for governor in the Oct. 7 recall election, seeking again the office that eluded him in 1994. Garamendi was elected insurance commissioner for the second time last November after a campaign in which he said he coveted no higher office. But that was before the attempt to recall Gov. Gray Davis, Garamendi said Thursday. "I cannot stand idle while our economy falters and our government spins out of control," he said. "I will do everything in my power to stop the political war in Sacramento and restart our state." A former Peace Corps volunteer, Garamendi said his experience qualifies him for the job. It includes stints as state Senate majority leader and Clinton's Interior Department negotiator to resolve California's water wars between farmers, cities and environmentalists, and save the Headwaters, a region of old-growth forest in Northern California. "Elected officials and community leaders from every corner of the state know that I am serious," he said. "They know that no other candidate has been tested in so many public offices." 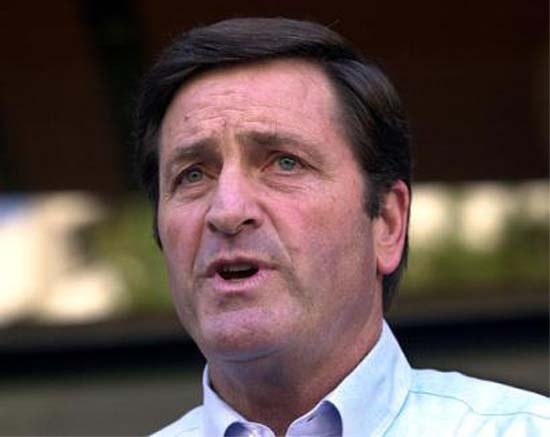 Garamendi, married and the father of six children, began his political career in the state Assembly in 1974 and two years later moved to the Senate, where he remained until 1990. His wife, Patti, is assistant secretary of the California's Technology, Trade and Commerce Agency, which is being eliminated in the new state budget. She also held positions in the Clinton administration after a narrow loss for a U.S. House seat in 1992. In 1990, Garamendi became the state's first elected insurance commissioner, an office created by 1988's Proposition 103. During his first term, he antagonized the insurance industry during an unsuccessful bid to become governor, causing several companies to stop doing business in California and others to refuse to lower their rates. 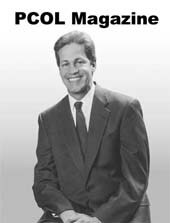 He returned in 2002 promising a less-confrontational style, although insurers gave more than $1.5 million to his Democratic primary opponent. Last November, he won the job for a second time with 46.5 percent of the vote in a multicandidate field. His percentage was slightly less than Davis' 47.3 percent. Harvey Rosenfield, president of the Foundation for Taxpayer and Consumer Rights, a Santa Monica-based consumer advocacy group, said Garamendi is "well-versed in public policy, and that's something that Arnold (Schwarzenegger) doesn't bring to this. "I think he'd be a very powerful candidate. Nobody in this race knows more about public policy and how to protect people's pocketbooks than Garamendi," Rosenfield said. "The man's responsible for $23 billion worth of savings in consumers' insurance costs. People may not remember this, but they got $1.2 billion in rollback checks after Proposition 103 passed," he said. But Garamendi's Republican opponent last November criticized a 10-year-old deal where the insurance chief oversaw the sale of Executive Life to a French group, triggering a round of lawsuits and losses for Executive's policy holders. Garamendi said got the best deal possible at the time. Between the insurance posts, he became a partner in the Yucaipa Companies, a Los Angeles based private investment firm that's been a major Davis supporter. Garamendi left the firm in December 2001.